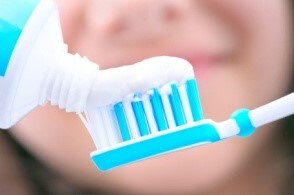 The Ultimate Toothpaste Guide - Keller, TX - Which toothpaste is right for you? If you struggle with tartar – or plaque –and want to prevent buildup, this is the perfect formula. Toothpaste for tartar control contains effective ingredients that break down plaque before it hardens on the tooth which becomes tartar, and is what often makes plaque so difficult to remove. While toothpaste doesn’t prevent buildup below the gum line, it is still an excellent preventative measure and does prevent buildup on the tooth itself! A possible side effect is sensitive teeth due to the chemical that dissolves the tartar. This is perhaps the most popular type of toothpaste among most people, and almost every brand offers it. These products use tough chemicals to gently scrub off surface stains, while others use softer material like peroxide to lift discoloration. It’s important to be aware that whitening toothpastes can cause tooth sensitivity, and is not recommended for kids 18 and under. We suggest consulting your dentist if you’re interested in whitening, especially for children. For individuals who experience discomfort with hot or cold foods and drinks, there are special formulas that are great for sensitive teeth. This type of toothpaste is often much less abrasive than regular toothpastes. You can usually identify them because they contain either potassium nitrate or strontium chloride, which both help reduce sensitivity by decreasing nerve signals in the teeth. It’s important to purchase toothpaste that is specifically made for your child, because children’s teeth are very different than an adults’. We recommend starting toddlers with “training” toothpaste, which is designed to be perfectly safe to swallow! For older children or children who are able to expectorate, there are many kid-friendly toothpastes that use less fluoride (which children are particularly sensitive to), as well as more palatable flavors your child will enjoy. For those patients who are at higher risk for dental cavities, there are options for prescription strength toothpastes that can be prescribed by your dentist. These toothpastes typically contain a higher concentration of fluoride which is the main ingredient to help fight the decay causing bacteria. If you are unsure of what brand is best for you and your family, give us a call so we can help recommend the right one for you! Also, it’s important to make sure that any toothpaste you use has earned approval from the American Dental Association. To learn more about toothpaste or to make your next dental appointment, call our office today at (817) 741-0045 and HAPPY BRUSHING!